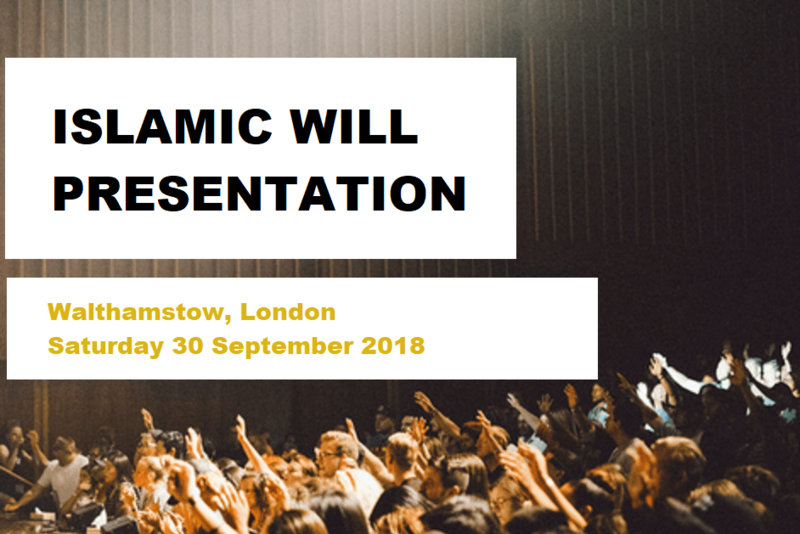 We have been invited by Masjid e Umer in Walthamstow for a presentation entitled Islamic Wills – Leaving a Lasting Legacy. The presentation will last for around 45 minutes and will cover the major reasons for having an Islamic Will, followed by a question and answer session. Both men and women are welcome and attendance is open to all without registration.